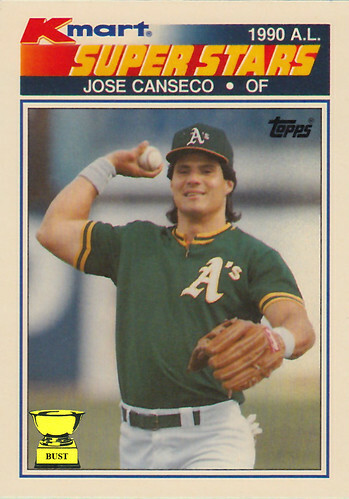 Canseco used to be one of my favorite players... but wow... a lot has changed since the late 80's. How thoughtful that Kmart decided to use a fan's photo taken with a disposable camera for their card set. You can't get the right amount of fuzziness from a professional.